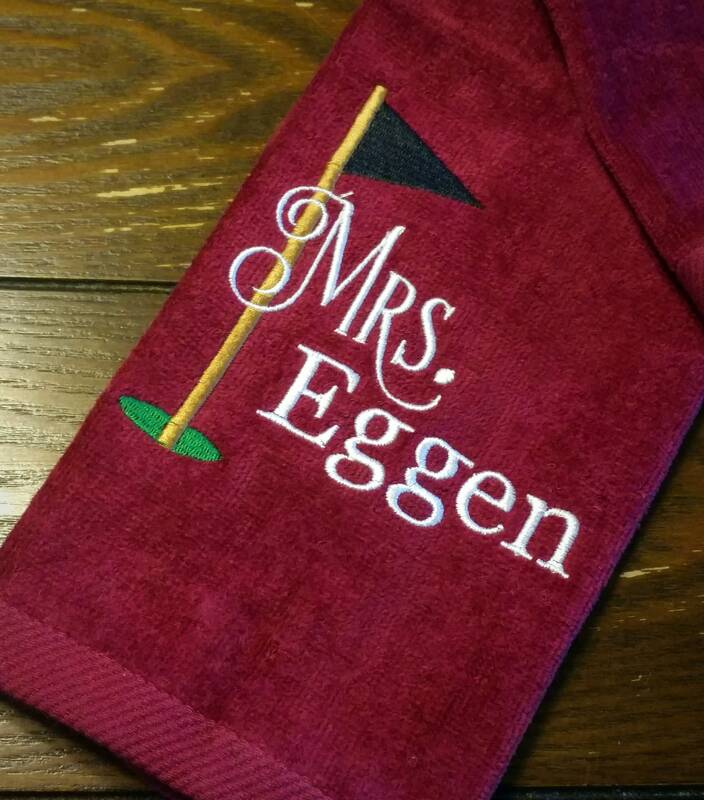 Special Wedding or Anniversary Gift! 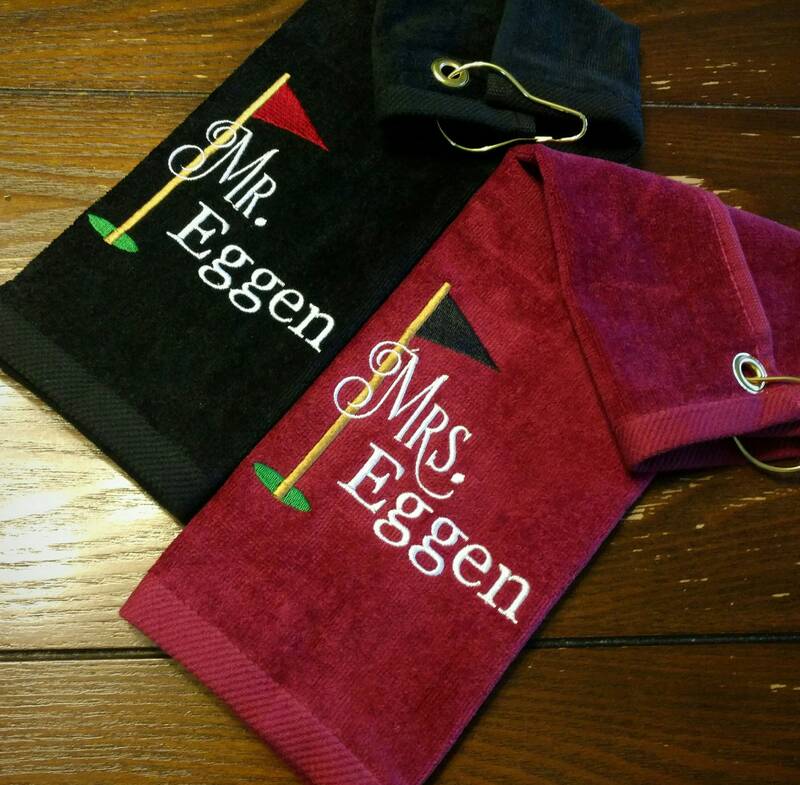 Two towel set. 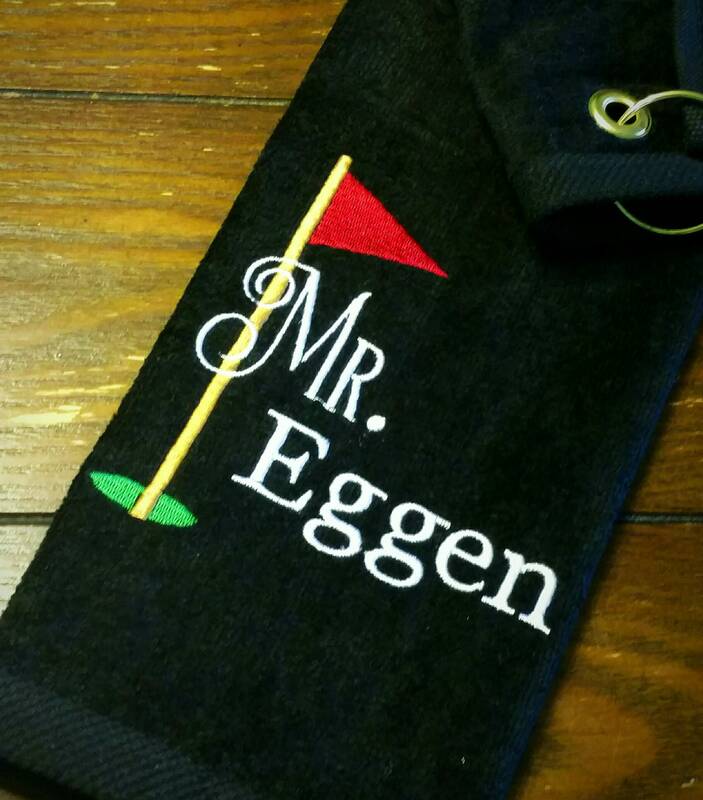 Custom golf towels with "Mr." and "Mrs." ready to be customized by you. If you would prefer a different font, please send a custom request to me! 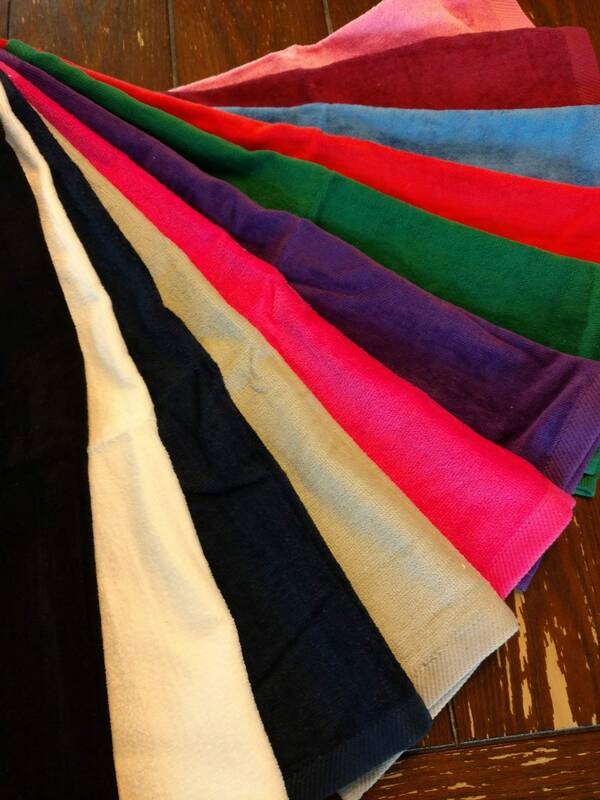 I will be happy to work with you and to include wedding colors!